al-jubz al-malil, al mamlul malla, (jubz, bread in general regardless of the grain used; al-malla, hot ashes used to bury bread for baking; and malla, pit in which bread is cooked; with time it came to mean oven as well), fire pit as that used in Al-Andalus for baking bread under hot embers and ashes. Today’s version is about 5’ deep and lined with stones. 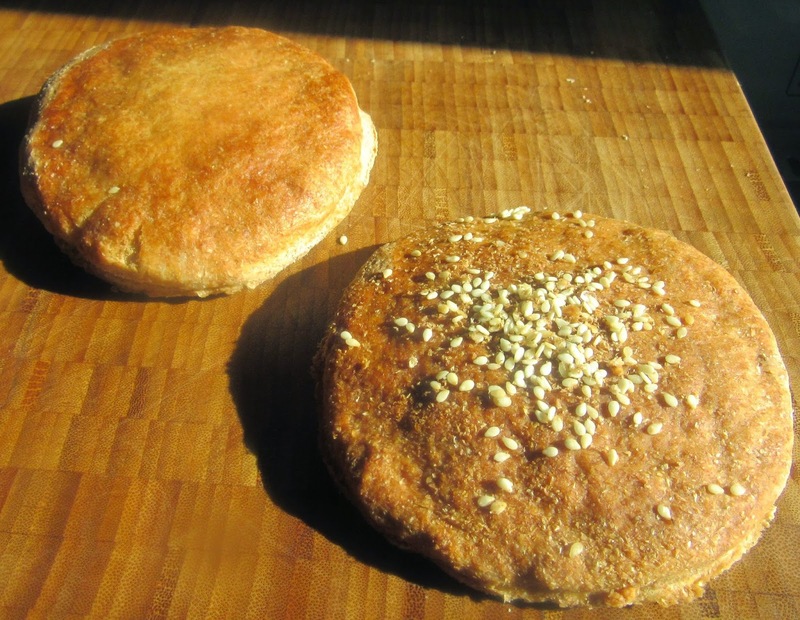 It is known that this is a flat bread which has been considered to be the worst as it is heavy and difficult to digest. García Sánchez maintains that only those with strong stomachs can eat it. Once the bread cooled it was thick and hard, not spongy. It was considered to be peasants’ bread. It was the basis of their alimentation. No specific recipes for this bread are available in the texts reviewed but it seems that any flat bread recipe would do. Most breads in Al-Andalus were made with wheat except in times of shortages. 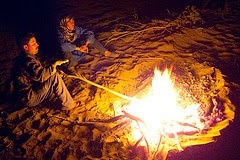 "World of Tim "states: "Our Berber Camel drivers (or 'drive camels' as our guide referred to them) cooking flat breads in the hot ashes of a fire. A hole is dug in the ashes; the dough is dropped in and then covered with more ashes and left for about 20 minutes. The results were very tasty." Mix the first four ingredients. Knead well. Roll the dough into a ball cover with a cloth and let raise in a dark cool spot. 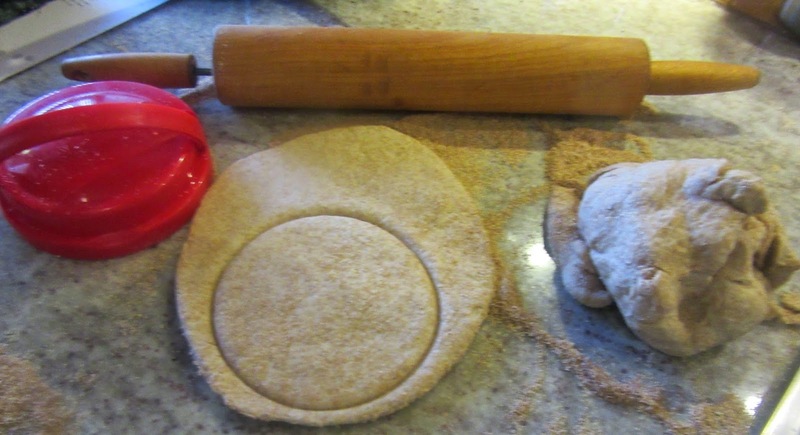 Roll out the dough like pita bread on a floured surface. Cut circles. Put the oil in a cut. Take a paintbrush and paint a cookie sheet with the oil. Sprinkle it with flour and place the pieces of dough on this. Bake for about 20 minutes, depending on oven and thickness of the bread. Remove from oven and consume warm. The Medieval Spanish Chef's father cooked corn on the cob in husks under the ashes. He lit the fire in a stone outdoor fireplace at 1500 hours or earlier and spent the next four hours removing the ashes from the logs with a metal rake. By 1900 hours he had enough ashes to burn the corn. Each husk took 20 minutes to cook. It was a thankless operation in the heat of the summer. Quantities were reduced in half. Five breads were made and the rest of the dough was frozen. See As there is no clear translation of “samidh flour.” An approximation was made using 1 ½ lbs all purpose flour and 2 lbs bread flour.